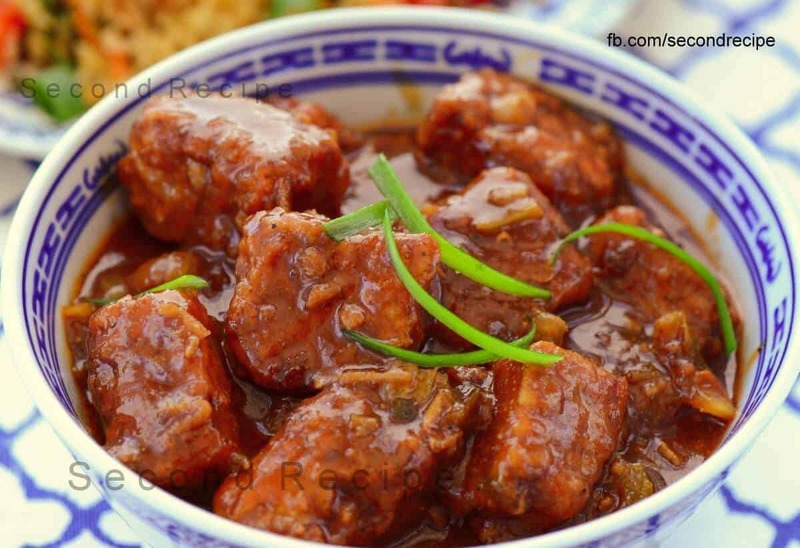 Vegetable Manchurian is a fabulous fusion of Indo-Chinese cuisine.It is a fabulous starter.Goes well with fried rice as well as Hakka noodles.Spicy and tangy and favorite with all age-groups.Most people love to order it. However,when we eat out,it is not possible to control the ingredients. Indo-Chinese cuisine in hotel industry uses MSG(or Ajinomoto) and cornflour in their recipes.However,some people are allergic to it.Others may want to avoid it due to dietary restrictions.Another issue,deep fried and low quality oil in markets. When you make it at home,we can still get the same taste and make it healthy too. We used maize flour(instead of corn flour) in this recipe.Also we have steamed vegetable cubes. Hence, it adds nutritional value to the recipe without changing the taste. So make this on a special Friday night and Enjoy!! Mix all vegetables for manchurian, with salt and minimal water. Lay the mix in a utensil and steam for 20 minutes. Once steamed,allow to cool for 10 minutes and cut into squares. Mix some water with corn flour and dip vegetable squares one by one. Heat oil in a pan and deep-fry or shallow fry these vegetable cubes one by one. Keep it aside on a paper napkin so that excess oil can be removed. Heat oil in a pan and add garlic,ginger,green onions to it. Add green capsicum and celery pieces along with salt and chilly flakes to it. Now,add maize flour to 1 cup water and mix well. Add maize mixture along with soup cube and let it come to a boil. Add the vegetable cubes to the mix and let it cook for 2 minutes. Garnish with some green onions. Note: Alter the quantity of water in the gravy as per your choice. Click here to read additional recipes. Also,click here to view recipe videos from our Youtube channel “secondrecipe”.